Sunday Service Week 35: Who Are True Christians? Nowhere do we find Jesus condemning, or even gently criticizing, other spiritual masters. His criticisms were reserved for worldly attitudes, and for those hypocritical Pharisees who had allowed religion to become, for them, a pretense. 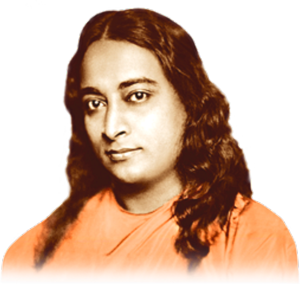 Paramhansa Yogananda explained that the expression “All that ever came before me” referred to those spiritual teachers who place their egos and their self-importance ahead of the Christ Consciousness, in the sense of drawing people’s devotion to themselves and not offering it where alone it truly belongs, to God. Desire obscures even the wisdom of the wise. Their relentless foe it is, a flame never quenched. Intellect, mind, and senses: These combined are referred to as the seat of desire. Desire, through them, deludes and eclipses the discrimination of the embodied soul. O Arjuna, discipline your senses! And, having done so, work to destroy desire, annihilator of wisdom and of Self-realization. Give God the credit for everything you do. See Him as the true Doer. Inspiration is of two kinds: the rediscovery, or rearrangement, of thoughts that already exist in the subconscious mind; and the sudden appearance of new thoughts, or new insights, from the superconscious. This higher inspiration, certainly, is more to be desired than the lower, for it is based in truth and not in imagination. It is not always easy, however, to recognize the difference between lower and higher inspiration, particularly when the lower is vitalized by the emotions. When inspiration comes, receive it with calm love, and see whether, untouched by emotion, its impulse grows stronger or weaker. Love is the water that nourishes true inspiration. I hold my thoughts up to the calmness within; in calmness I receive inspiration from my higher Self. O Spirit, Thou art all truth. In Thee lies the solution to my every need. Inspire me now, Lord! Show me which path to follow of the many that lie before me.